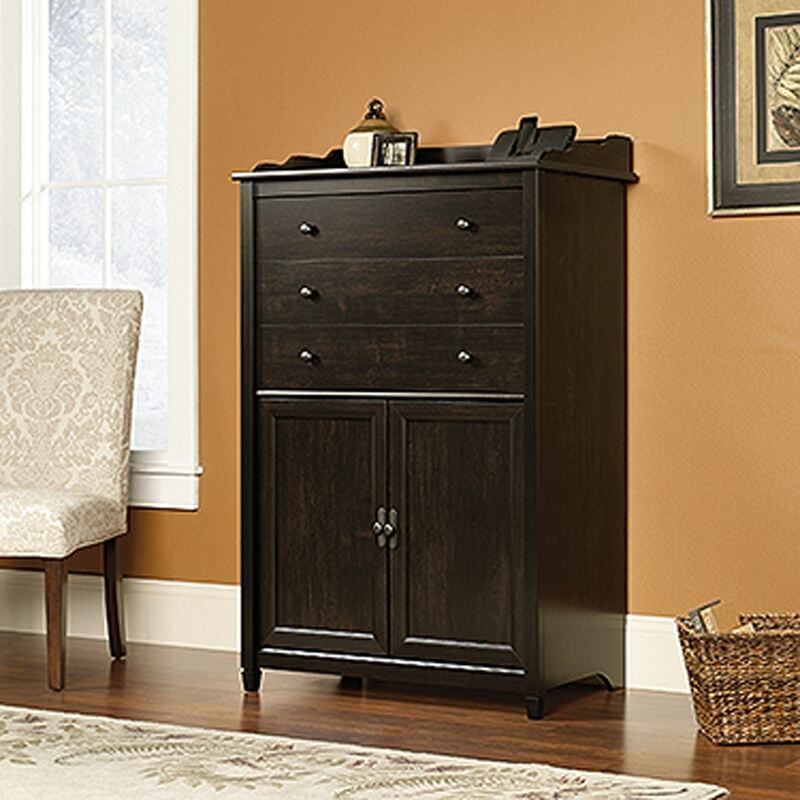 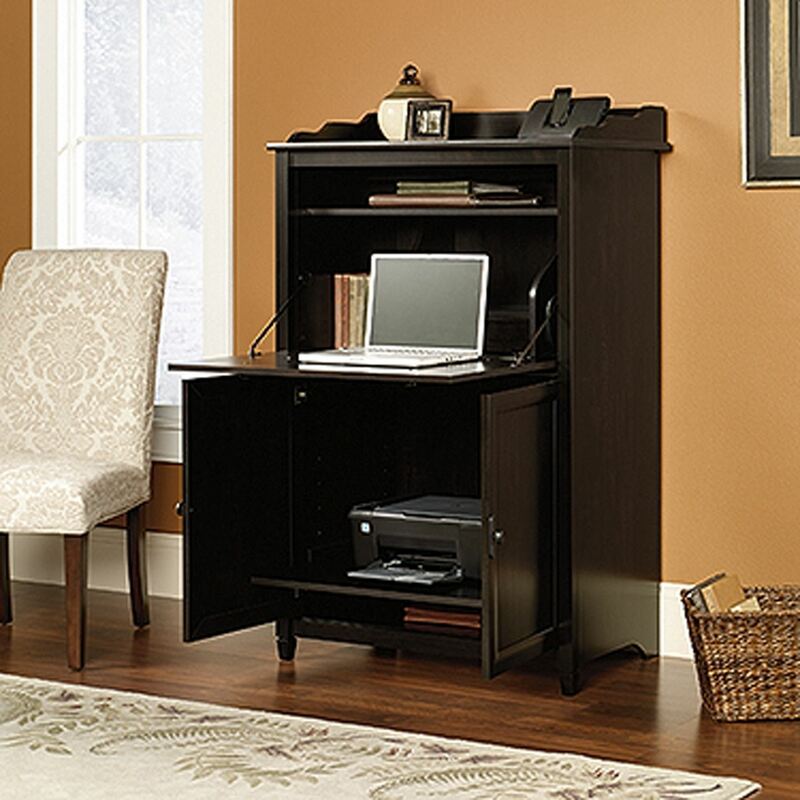 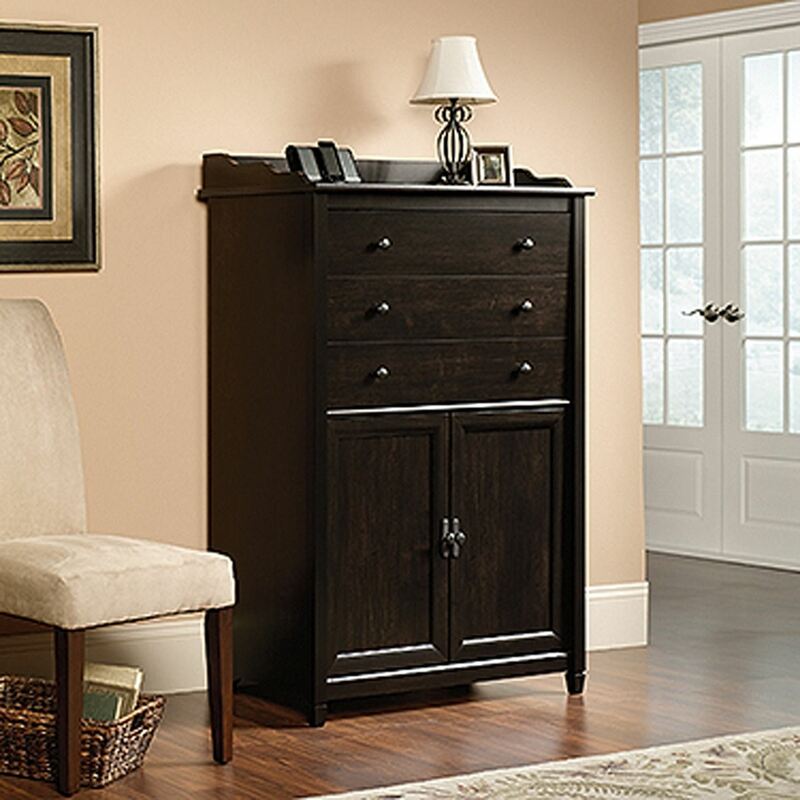 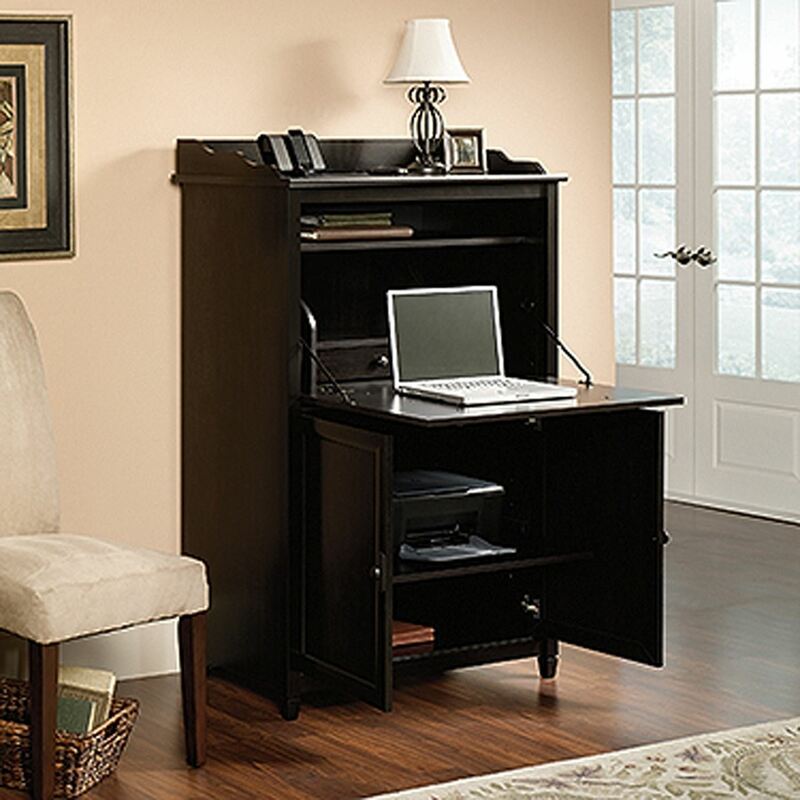 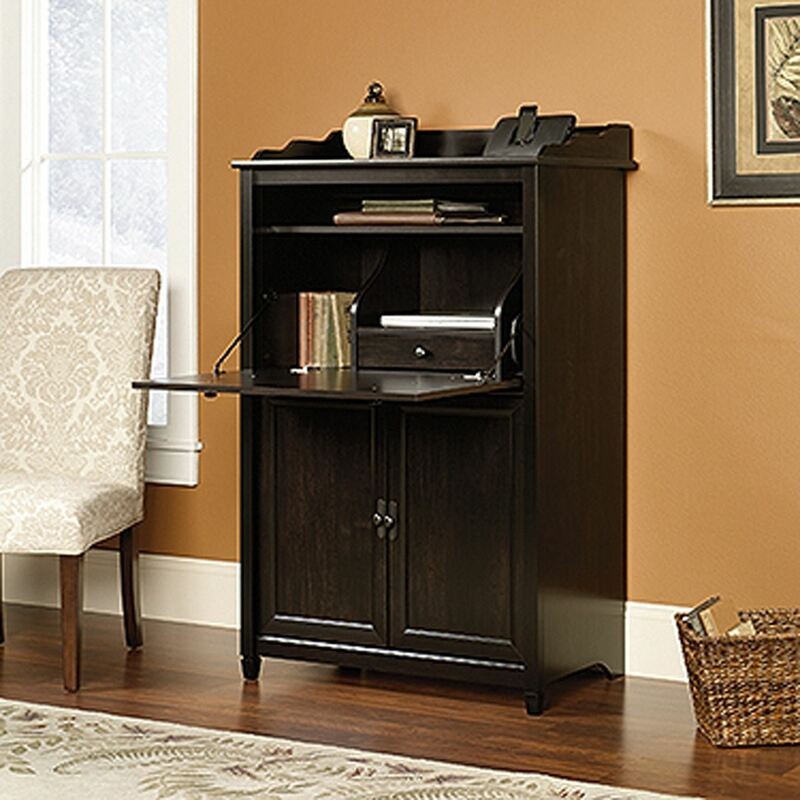 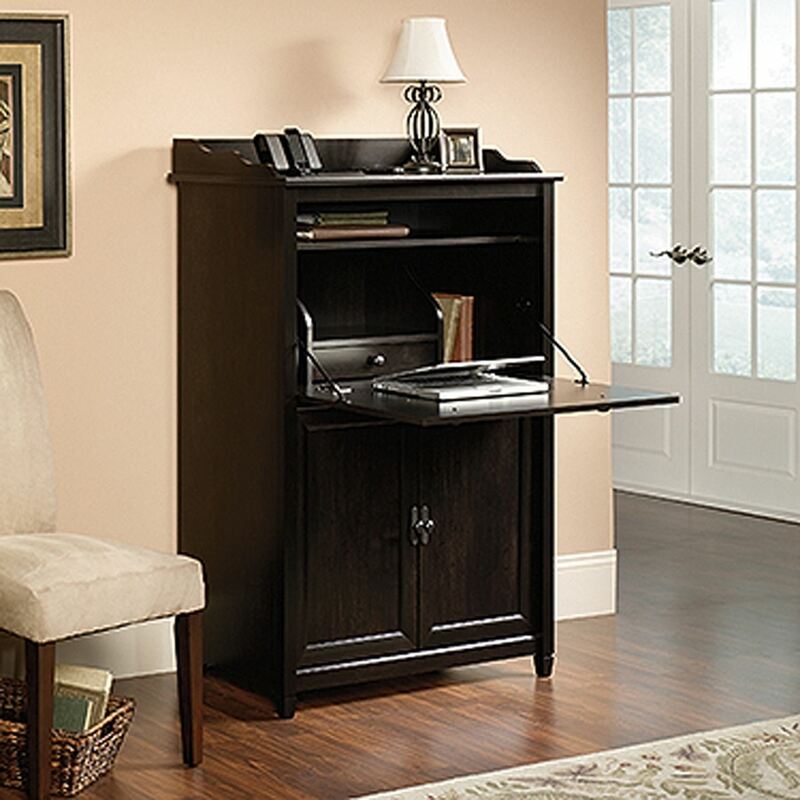 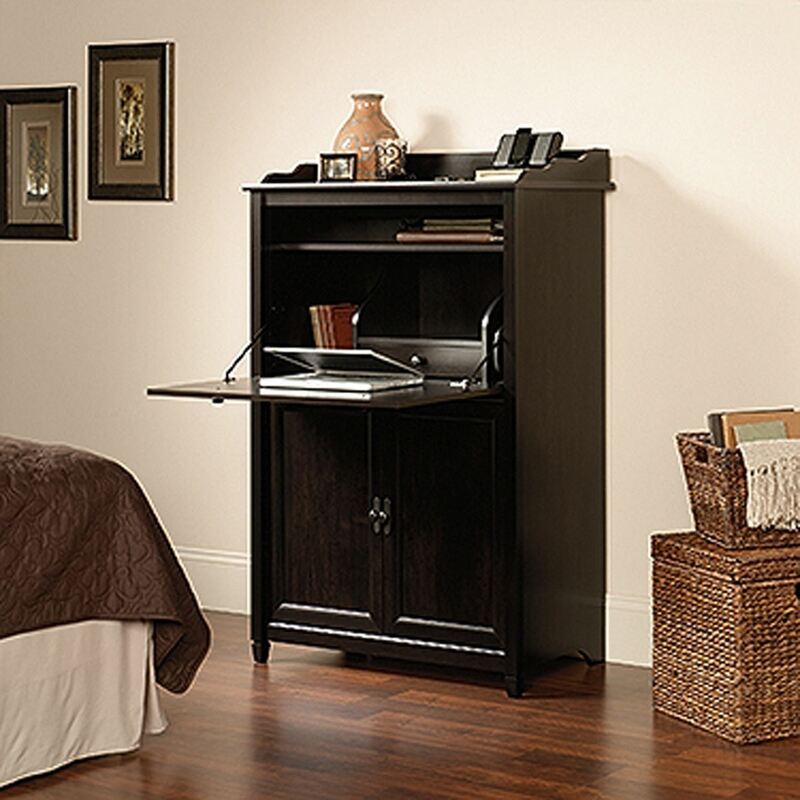 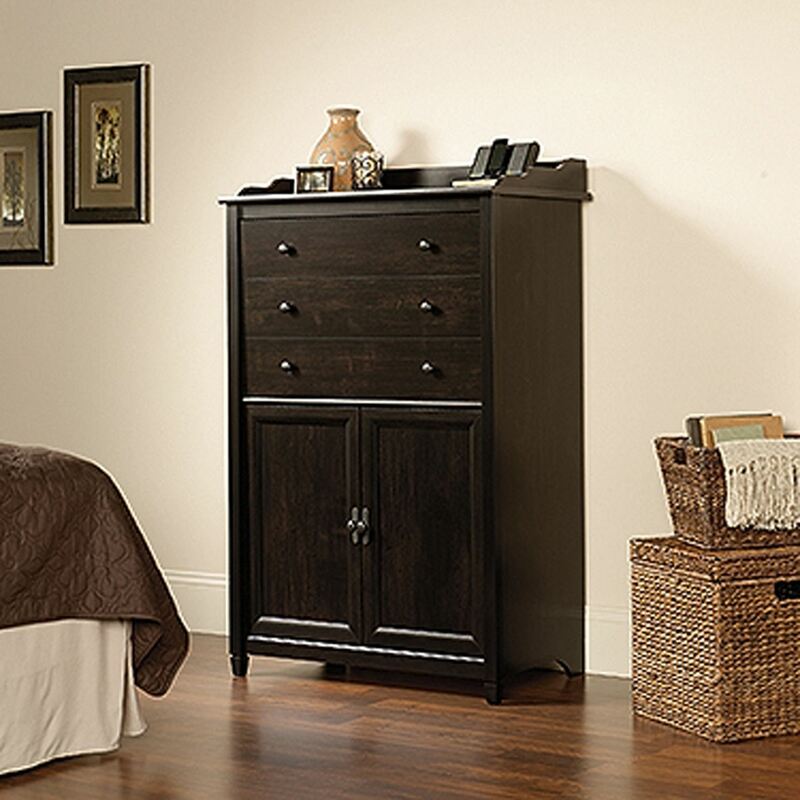 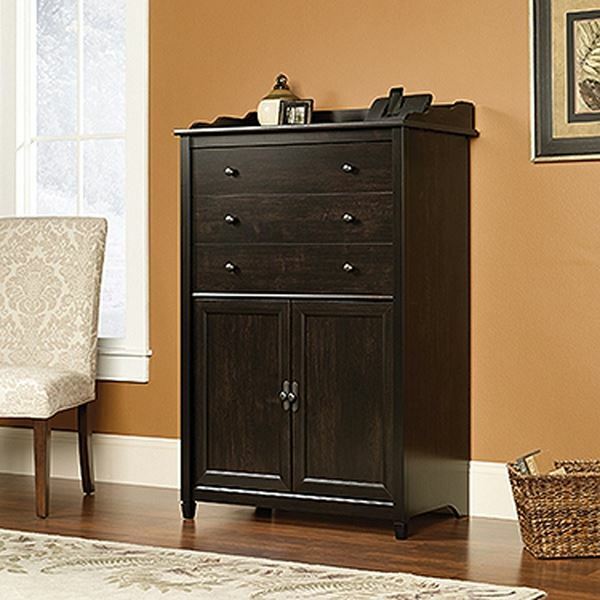 Edge Water Smartcenter Secretary Estate Black By Sauder. 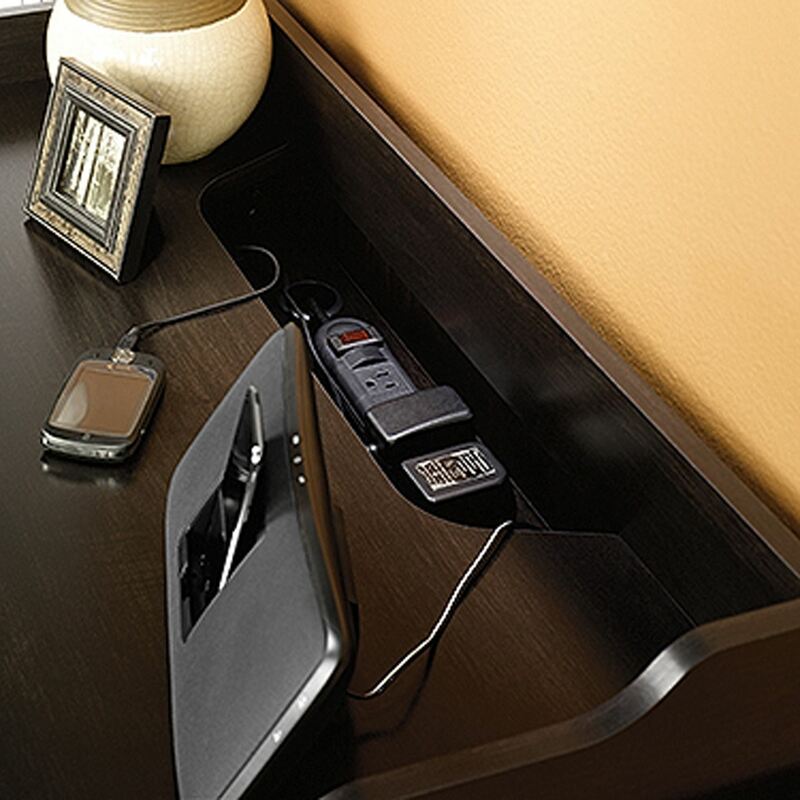 SmartCenter features charging station with power strip. 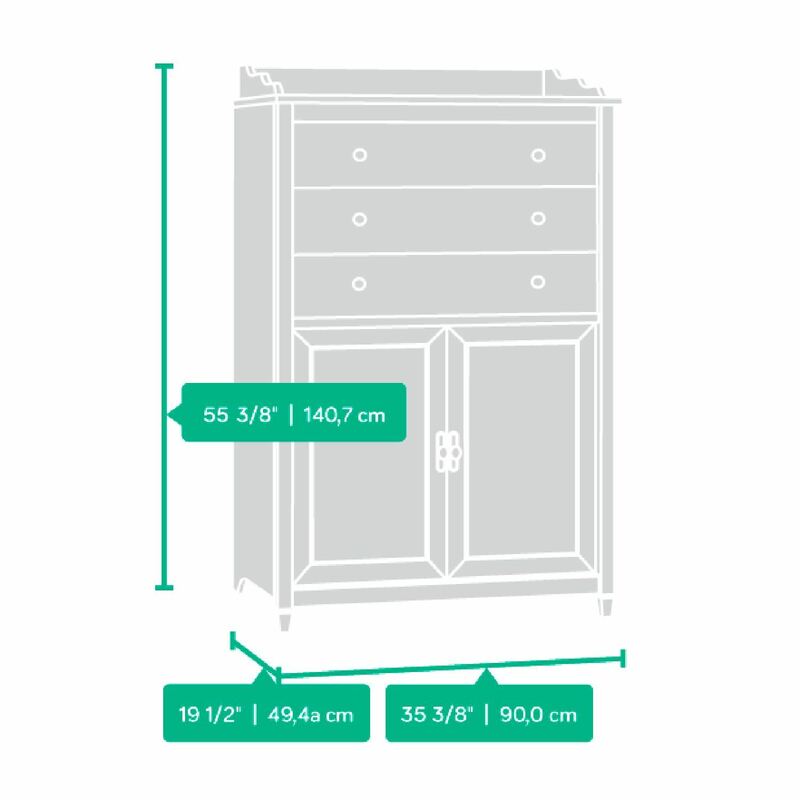 Flip-down work surface reveals fixed shelf and pull-out cubby drawer. 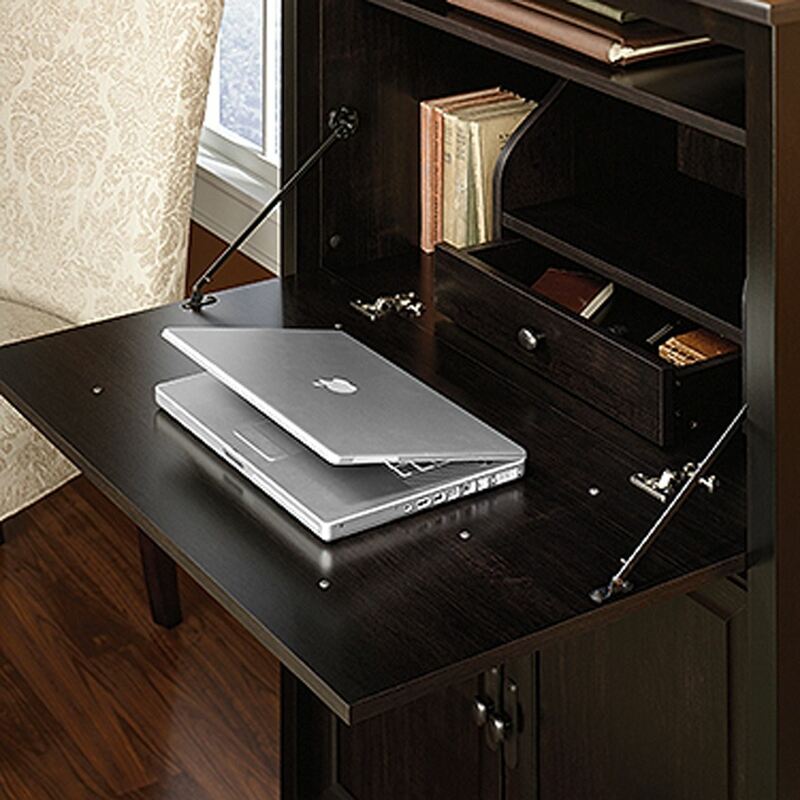 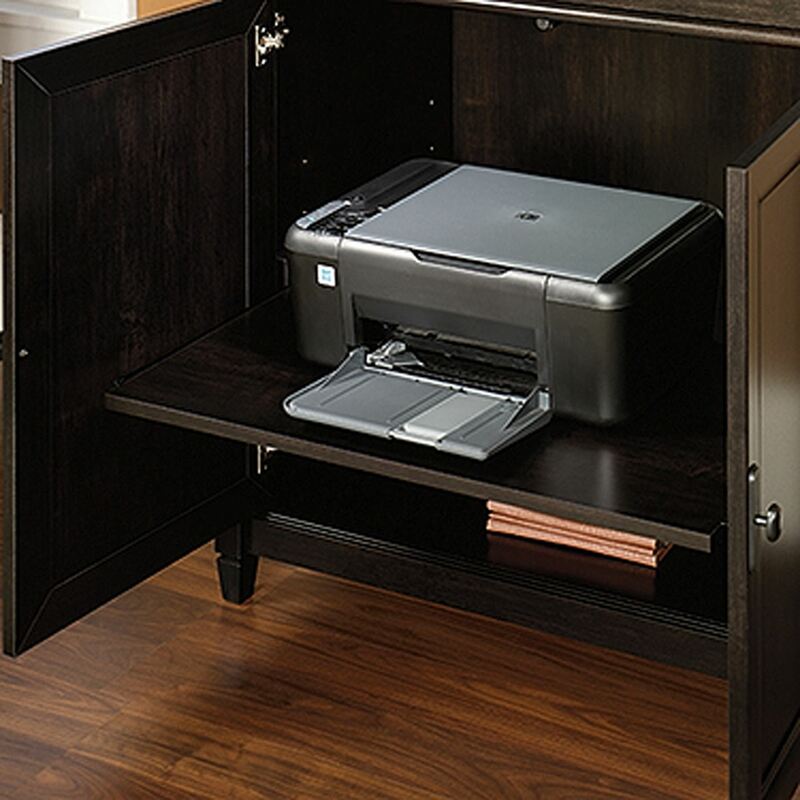 Hidden storage behind doors features an adjustable, slide-out printer shelf with metal runners and safety stops.